100 Film Festivals in Australia and internationally have screened Metro Screen funded projects, the milestone was clocked up this week and rounds out a very productive 2012. Since 2009 short films screend at 66 Australian film festivals and 34 films screened overseas in many different countries. To top it off Metro Screen funded films also won prestigious awards including, Golden Eye Award 2009, Best Indigenous Film from SBS Television Awards 2010, Best Short Documentary at ImagineNative in Toronto 2011, Best Music for a short Film from APRA/AMCOS 2012 to name just a handful. Highlights from success stories of Metro Screen content and film projects are updated every week in our Congratulations Forum. Applications for 2013 Breaks funding – Story to Screen are now open with applications due 7 February for six short films up to 10 minutes across drama, documentary, animation and experimental, plus three story based projects created for online or small screen delivery. Digital Kitchen provides a cash grant for three to five emerging developers to mature their interactive projects beyond concept stage to a 'ripe for investment' or market ready level. Producers with projects that offer a rich interactive experience for audiences and users are encouraged to apply by 8 February 2013. SBS wants to know why your community matters to you. In a 90 second video (maybe on your phone) tell SBS why your community makes a difference in your life and win the opportunity to tell Julia Gillard on Australia Day. Entries close 4 January 2013. Congratulations to the graduating class of Certificate IV in Screen and Media Studies 2012. The screening of their final projects at Kino Sydney at the Night Parrot was a great night, Metro Screen wishes the whole class a busy and creative 2013. Certificate IV in Screen and Media. This full time course focuses on dialogue, story and character giving you a strong skills base across all aspects of screen production and an industry recognised qualification. Don’t miss your chance to save hundreds of dollars on your enrollment with the early bird discount closing 25 January 2013. Starts 21 January 2013 for 11 – 17 year olds. Over three 7hr days be taught the fundamentals of filmmaking all the way from script to screen. Be given the opportunity to write, act, shoot, light, direct, edit and produce either a short film, theatrical trailer, TV commercial or behind-the-scenes documentary. Starts 9 February 2013 for one day 9.00am to 5.00pm. This highly practical course is the perfect introduction to basic camera operating and cinematography techniques. You will learn basic camera operating and lighting skills, using our Sony PMW EX1Rs.Topics covered include framing, exposure and white balance, as well as handling techniques, lighting set up and lay out and an overview of shooting formats. 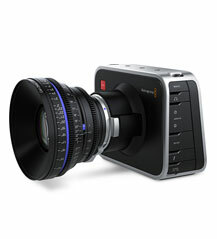 We are very excited to be gearing up with new BlackMagic equipment and an amazing workflow in 2013 with the BlackMagic Cinema Camera, the Hyperdeck Studio for storage and the Decklink 4K Extreme for acquisition. Before the year ends, don't forget our Crazy Summer Holiday Deal - Hire equipment for 12 days for the price of 4 days. Pick up your gear 21 December and you can use it right through until 2 January 2013 for the price of just 4 days hire. First in best dressed. Send us your booking through our online instant quote to redeem this once-a-year offer. Dean Francis’s [Road Train] upcoming feature film Drown is seeking a keen and enthusiastic Unit Manager from 7th January to 8th March 2013. The Unit manager is a department head and will be responsible for 2 to 3 unit assistants on a daily basis. The Unit will oversea all catering and transport logistics. Applicants must own their own car and hold a valid Australian drivers license. The CBF TV Content Production Grant applications open 15th December 2012. This grant category is an incubator fund that aims to support content production encouraging greater participation, creativity and innovation in Australian community television productions. Almost $300,000 is available to distribute in this the second round of grants. Submissions close at midnight 15th March 2013. This year Flickerfest received an unprecedented number of entries from over 21 countries across the globe. In excess of 2300 short films were received at Flickerfest HQ in Bondi, exceeding last year’s total by 200 plus entrants. From these entries, 116 films have been selected for the four official competitions, all representing some of the most innovative, creative and cutting edge short films that the world has to offer. Written and directed by Melissa Anastasi and produced by Cathy Flannery,'Treading Water' received our Breakout funding in 2011. Written and directed by Pauline Findlay and produced by Tracey Savage. Together they developed the idea of 'Red Dot' which became 'Liv' and gained a Metro Screen Network Production grant in 2009. 'Liv' had its World Premiere at Palm Springs International ShortFest. You Like It, I Love It has been selected to screen at the Clermont Ferrand Film Festival 2013. Synopsis: Roberto and Chris are brothers with the house to themselves. Current Certificate IV in Screen and Media Cinematography tutor, Adam Howden lensed the film and 2011 Certificate IV in Screen and Media graduate Pablo Zubieta was 1st AD. ‘Redfern Now’, the exceptional documentary recently screened on ABC and still available on ABC iview credits Adrian Wills, Michelle Blanchard and Jon Bell as episode writers and Wayne Blair as director and amain cast role. These four talented Indigenous filmmakers all made some of their first films with Metro Screen, through our indigenous funding programs. Winners of the Human Rights Awards 2012 were announced at a Sydney event on Monday 10th December, hosted by The Chaser’s Craig Reucassel. Over the past few years Metro Screen has been very involved with Media RING, a collective of 42 media organisations that aim to improve employment and training outcomes for Aboriginal and Torres Strait Islander people working or wanting to work in the media industry. Kiana is the title of a short film, written and directed by Hallam Drury, created with cinematographer Andy Johnson and Producer Luke Sheehan. The film Kiana is an unfolding narrative that reveals an interesting and unique story about the very natural decision to have children. Starring Guy Pearce and Maggie Grace and set in the near future, Lockout follows a falsely convicted ex-government agent [Guy Pearce], whose one chance at obtaining freedom lies in the dangerous mission of rescuing the President’s daughter (Maggie Grace) from rioting convicts at an outer space maximum security prison. After witnessing the brutal murders of a convenience store owner and his son; firefighter, Jeremy Coleman nearly escapes with his life. As he is forced to testify against the crime lord, Hagan, he is placed in the witness protection program under the watch of the U.S. Marshalls. Charles Dickens died half way through writing The Mystery of Edwin Drood, and ever since speculation has been rife as to how the tale might have unfolded. For this intriguing two-part adaptation for BBC2, for prime time this December, acclaimed screenwriter Gwyneth Hughes [Five Days, Miss Austen Regrets] scoured the text for clues indicating how the great author might have finished this masterpiece, and has drawn from those leads a seamless, compelling and surprisingly modern story of obsessive love, betrayal and murder. Transporting viewers to locations across the globe and back in time through hundreds of millions of years, Planet Dinosaur uses the latest technology in computer generated graphics to bring to life the most awesome and amazing creatures that ever lived. Almost all of the dinosaurs featured were recently discovered and forced a rewriting of the prehistory books. The Prequel Series to All Creatures Great and Small. 30 years after the first book in the phenomenally successful James Herriot series was published, the BBC presents the previously unknown ‘real’ story of the world’s most famous vet from Scotland. ‘Crossfire Hurricane’ directed by Brett Morgen, is released as part of the ongoing 50th anniversary celebrations of The Rolling Stones. This superb new film tells the story of the Stones’ unparalleled journey from blues obsessed teenagers in the early sixties to their undisputed status as rock royalty.